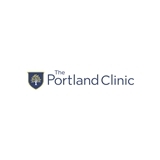 The Portland Clinic - Physical Therapy (Beaverton) - Book Appointment Online! Dr. Reece was super helpful and was such a good listener. I appreciate her attention to detail and her genuine concern for me to feel better. Very knowledgable, professional, and will definitely be seeing him on an on-going basis! He listened patiently to all my concerns and it was a wonderful experience.